June was one of the toughest months for credit markets and risky assets during the first half of the year, and was pretty much a reflection of what characterised credit markets in H1-2018. Risk-off mode, risk aversion, and flight to safety trades led to a marked widening in spreads and resulted in a negative performance for the month. High Yield, financials in particular, were amongst the worst hit. Investors have been accustomed to moving down the ratings ladder in the search of better yields, or else by extending duration trades. This means that, over recent years, investors have had a marked increase in allocation to high yield bonds in their portfolios. However, the pace at which flows have flown into High Yield, across both sides of the Atlantic, have ebbed as uncertainty and volatility took centre stage for the greater parts of 2018. In addition, the ECB confirmed that the end of QE will be in December, while interest rates will be maintained at the current levels surely until August 2019-a statement which hindered financial assets remarkably. All in all this has also led to expectations for rising sovereign yields, and hence higher benchmark rates. Relatively speaking credit has held up pretty well notwithstanding the increase in expectations in benchmark rates (and subsequently spreads), which could only mean that, if risk aversion persists, spreads could edge wider. 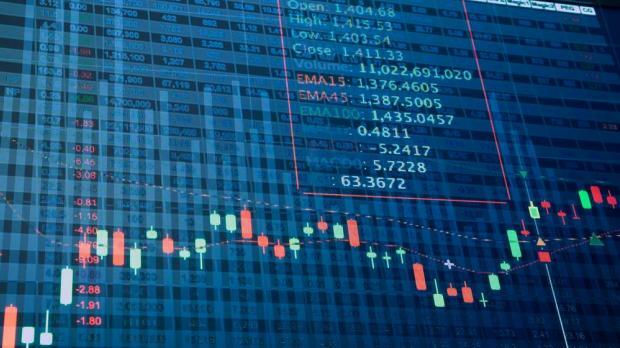 Trading conditions in these markets are not improving as trade war concerns persist and continue to hamper risk appetite across the board, thereby accentuating the increase in uncertainty and volatility, with the spread on financials, one of the worst hit sectors so far this year widening amid poor liquidity conditions and adverse market dynamics. Undoubtedly, credit markets have become more volatile since the start of the year, with volatility almost being three times as much as it was at the turn of the year. What must be kept in mind is that, as expected, central banks are meant to bring Quantitative Easing to an end, which should dry up liquidity and possibly trigger an uptick in volatility. Meanwhile, global trade and European politics continue to grab the headlines, with Donald Trump threatening 20% tariffs on European cars and markets having been nervous about escalating tensions between the US and China. In additions, flows into Emerging Markets have been weak and have registered a decline in the second quarter of 2018 mainly brought about by rising tensions and idiosyncratic risk emanating from Brazil and Turkey. In addition to this, we have the slower pace of expansion of central bank balance sheets to contend with, which leaves us with a tricky concoction of market-related issues, which are sure to make the second half of the year challenging, to say the least.